Just wondering if any of you have been doing anything related to Machine Learning for modeling the markets? Years ago, reading The Education Of A Speculator, I learned that Victor was not fond of Neural Networks and the like. You're quite late to the party if just starting. 2-3 years ago finance bros were all over NLP looking to beat the market. Now the papers are out from that movement. arXiv has turned itself inside out with DL + markets nonsense. I feel like this (and even DL) jumped the shark several years ago. If you want to learn about NN, read Eugenio Culurciello's post (originally on his github) on neural net architectures. The big advances in image recognition were due to flickr users tagging massive amounts of data. S Mallat and R Vershynin have done some good work in the last 5 years while everyone else is going crazy. Even N Matloff is apparently caught up in the eddy, making points about NN that L Wasserman published 20 years ago. Francois Chollet is moving on. You should too, unless you have a good reason not to. As someone else mentioned, tensorflow, caffe, model zoo, are good fun to play with, if that's your only goal. otoro.net made some fun video games with convnet.js. Think a little more creatively, like that, if you want to play this game. 400 free Ivy League university courses you can take online in 2019. I sometimes explore online courses looking for interesting lecture videos that I can either watch or convert to mp3's and use as podcasts. Their list doesn't have a couple of my favourites. Aiken's compilers course at Stanford and MIT's xv6 lions commentary on unix. I'll say this, MIT OCW (started ~2002, no productivity gains so far) is higher quality than Sam's Teach Yourself C++ at Barnes & Noble. Competition in general has benefits, but 30 cold medicines yet none of them work is just more confusing things to try. Speaking of cold medicines that don't work and competition/markets, I would contrast Guatemala to the U.S. in this way. Guatemala has genuine markets–small merchants who will negotiate on price–whereas the U.S. has CVS (posted-offer, negotiations behind the scenes by eg Procter & Gamble vis-a-vis CVS). CVS will carry fewer cold medicines but they will work. Back to education and MOOC's: delivery of a higher-quality product happens online than Barnes & Noble (or public library), with youtube (Federico Ardila), PDF's hosted on someone's site (Andrew Ranicki), or Rails/post-Rails MOOC's. More people know about more stuff because of youtube documentaries; that's already happened. It just won't improve work output, other than–we've yet to see how this pans out–millennials deciding that programming is the only decent career, and that they can teach themselves (including 25-year-olds who have held 1-9 jobs teaching for General Assembly). In the appendix of Irving Sprague's Bailout, Sprague lists all FDIC bailouts up to Continental Illinois by size. Continental Illinois was the largest rescue at only $41 billion. Second largest was First Penn at $8.4 billion. Bank of the Commonwealth, near Detroit (a chapter about the shady dealers of that bank's ownership) required only $1.2 billion in 1972. Bailint out Farmers Bank of the State of Delaware cost $360 million in 1976. No other bailouts are tabulated, although 7 other kinds of action (assisted mergers and payoffs) are tabulated.The minimum size of a G-SIFI today is $100 billion. I sometimes explore online courses looking for interesting lecture videos that I can either watch or convert to mp3s and use as podcasts. Their list doesn’t have a couple of my favorites, including Aiken’s compilers course at Stanford and MIT’s xv6 lions commentary on unix. This debut novel, Make Me Even and I’ll Never Gamble Again, follows a young man who, hoping to achieve financial independence, finds himself drawn to the stock market. By the early 1970s, Rogers Stout is only 16 years old, but his father, Dr. Charles Stout, wants his son to live up to his potential. The Ohio teen is bright but putting minimal effort into high school studies. This changes the summer before his senior year with an internship at Prescott & Prescott, a stock brokerage and investment banking firm. Rogers becomes fascinated by the stock market and sets his sights on a finance major at Penn-Wharton in Philadelphia. He closely follows the market all through college, gradually developing abilities, such as how to deconstruct a company’s financials and analyze its prospects. As an exceptional poker player, courtesy of regular sessions with his dad, Rogers equates his investment philosophy with the card game. He plays while winning and stops to reassess his strategy after he’s lost. Rogers hard work pays off, as he lands a gig at a research and money management firm in New York. But his subsequent plan to invest in a small company is an unquestionable risk, and life, like the financial markets, can change instantly and unexpectedly. Despite the desperation implied by the title, the levelheaded protagonist is rarely distraught. (The title is derived from a line that a losing poker player “not Rogers” utters.) Still, Fine’s coming-of-age tale is engrossing. The historical backdrop, for one, is an enhancement: Rogers witnesses the 1973-74 stock market crash and worries about his girlfriend, Charlotte Marks, who, in 1977, is in a war zone in Cambodia for Doctors Without Borders. There’s also turmoil in the protagonist’s personal life, as banker Elsbeth Aylesworth fills the void created by his geographical separation from Charlotte. Prose is detail-laden, including poker and baseball games as well as investments, while financial terminology is adequately explained. But there’s still room for humor: Rogers description of his job is to read and think and then occasionally make a bold decision. A leisurely paced but ultimately absorbing story of an aspiring Wall Street trader. 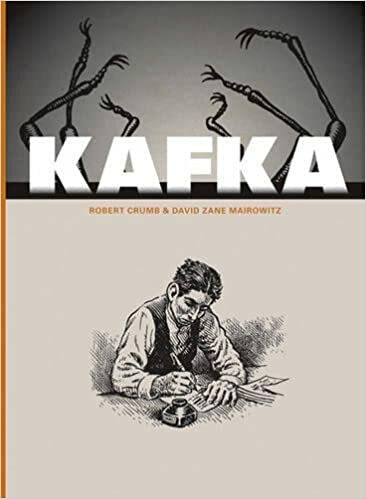 Crumb & Mairovitz's book about Kafka argues that 1. Kafka has been reduced to a single adjective by those who haven't read him thoroughly 2. Jewishness, Jewish mysticism, and the mystical experience of the Jewish ghetto where Kafka spent almost all of his life, are the real takeaways from his work. The second piece was strongly coloured by a father who always called him a failure, who frightened him even as Kafka tended to the old man in his dotage. The US census shows that more 20 somethings are living at home (with more degrees than ever). Pace Charles Murray, changes in living arrangement particularly the American (versus, eg, Saudi, Surinamese, Pakistan, Burkina Faso) seem to me a likely change if the U.S. jobs picture stays bad. It is difficult to tease out of the census how many "children" lived at home while working in the 19th and early 20th centuries. Our present world only began with the Fair Labor Standards Act which Congress and the President enacted in 1938. It made employment of anyone under the age of 16 a crime; but the Census had not bothered tabulating the numbers for the problems that the Progressives were solving. The 1900 Census questions, for example, do not ask how many children are working. Neither, for that matter, do the 2010 questions. The American Community Survey–the "long form" questionnaire–does ask the question; but it has only been used since 1998. It may be a scandal that people are living at home; but it may be that people are sensibly concluding that, in "average" residences that are 3 times the size they were in 1950, there is no more reason for the "children" to move out before they get married than there had been when most people still lived on farms. I don't have the answer; but, then, neither does Charles Murray. He just likes the idea that there was once a golden era when all Americans were "normal". Freud lived at home until a wealthy patron set him on his course of nervous therapy, setting him up with enough wealth to afford a home in which to put himself and Martha Bernays. So did D'Alembert (inventor of the wave equation)–with his adoptive mother–until his 40s. Early US video, eg the "Brooklyn ghetto fish market" (and you can cruise around on loc.gov or getty images to see more), shows a lifestyle much like what Mairovitz tells of Kafka's upbringing. As for people who neither would be worthy of depiction by Ms. Austen nor influenced the course of intellectual history–information on their lives is scarce indeed. I'm not sure it's scandalous for families to share houses. For whatever reason, that became Americans' expectation, even though only a couple generations ago flophouses, boarders, county poorhouses, and many other arrangements were common. It's still an open question how money and jobs link to fertility and housing arrangements. Chinese migrant workers come to mind. I heard there is a law that children who work in factories MUST return on certain dates to their parents in the country. The part of Murray's most recent book that I like to focus on is the geographic segregation of rich and poor. He contrasts Manhattan in the 1950s to the 2010s. The point was made by Tom Wolfe as well (Bonfire of the Vanities is now 30 years old, if you can believe that). It was a ten-dollar ride each morning, but what was that to a Master of the Universe? Howard Gillette Jr's book on Camden, NJ, begins with a similar outlook from even earlier. A HAZARD OF NEW FORTUNES. At Third Avenue they took the Elevated, for which she confessed an infatuation. She declared it the most ideal way of getting about in the world, and was not ashamed when he reminded her of how she used to say that nothing under the sun could induce her to travel on it. She now said that the night transit was even more interesting than the day, and that the fleeting intimacy you formed with people in second and third floor interiors, while all the usual street life went on underneath, had a domestic intensity mixed with a perfect repose that was the last effect of good society with all its security and exclusiveness. He said it was better than the theatre, of which it reminded him, to see those people through their windows: a family party of work-folk at a late tea, some of the men in their shirt sleeves; a woman sewing by a lamp; a mother laying her child in its cradle; a man with his head fallen on his hands upon a table; a girl and her lover leaning over the window-sill together. "What suggestion! what drama! what infinite interest! Gillette compares this to himself as a suburb-dwelling commuter living the good life whilst gawking at the commoners in the United States' favored image of its post-industrial failure. Here's a New Yorker video about professional poker players replaying their most memorable hands. You can find many similarities between trading and the game of poker. Many market lessons are offered in this short video. "Poker champion turned business consultant Annie Duke teaches you how to get comfortable with uncertainty and make better decisions as a result". This is a good interview with Duke. It's long but worth it. I recorded most of the Main Event at the World Series of Poker that was just played and I have been catching up on it off the dvr. All three went all in, and the aces won the hand. They keep replaying that hand and then showing a graphic that explains that the odds of having three players with those hole cards at a 10-player table are 70,688:1.
the odds are even higher, because in the Aces and Kings example, the suits of the Aces aren't specified. But we usually don't take note of the combinations that seem "random", i.e., that don't create a meaningful-for-us pattern. or any other 5 cards specified by both rank and suit. The irony there is that if you're watching Texas Hold'em tournaments, the odds of seeing somebody flop a Royal Flush of Spades are actually better than the odds of seeing somebody flop that specific junk hand, because players who start with components of a royal flush are more likely to stay in the hand, whereas those with junk hole cards are more likely to muck them and nip the possibility in the bud. Of course, the WSOP is a TV show, and they want as much drama as they can get. Brian Lee Yung Rowe recently posted about a game he invented for training staff in quantifying confidence/uncertainty: Fermi Poker. The most notable part of his thesis is that the standard story of futures markets (farmers love them) is false for farmers, centered on the wrong parties (should be centered on processors: millers, cleaners, shippers of grain), and backwards. Brown claims that, instead of borrowing the cash to run a business, running the business, and repaying the creditors in cash, futures markets allow businesses to borrow something much more like what they will produce (wheat, electricity, FCOJ), and then pay back in kind—thus hedging currency risk. (This was especially important in the days of wildcat banks and soft paper monies—the wild west had little coinage.) Someone who transports wheat from St Louis to Chicago could short a location spread, for example. Crucial to his point is that July 23 #2 soft red winter wheat at Minneapolis is *not* what I produce—it's merely similar enough that by rolling a series of short calendar spreads, I can continually borrow in terms *similar* to what I will actually produce. In AB's world, not only are bonds, bills, notes, and corporate equity alternative currencies/numeraires –so is, with thick enough markets, each short spread on a commodity market. What's more, he claims that futures markets were not invented by anyone; they arose bottom-up out of a poker-playing culture, which had developed "clearing-houses" between 1820-1850, so that hedging credit risk/ currency risk in this way felt obvious. As another Brown would say "AAAARRRRGGGGGHHHHH!!!!" No one in 5th century Greece or 18th and 19th century Atlantic America thought that you "borrowed cash to run a business". If you could not deal in credit, you had no business to run. The use of the term "money" seems to defeat almost everyone's understanding of these periods. There was no "paper" (or clay or parchment) money. Those were, like the Federal Reserve's small pieces of art, bills and notes - forms of IOUs. Coin - cash on the barrel head - was what you demanded from people when you no longer trusted their credit on any terms. Coin was valuable because the demand for gold and silver jewelry, plate and other forms of ornament was real and because, when there was a credit collapse, anyone holding coin could find great bargains by being willing to surrender their cash in exchange for - wait for it - bills and notes. "Wildcat" banks were local credit merchants; people who lived within a day's ride or canal boat journey (also dependent on horses) had a pretty good sense of what the local wildcat's IOUs were worth. The conventional histories pretend that this produced a crisis because they were all written by people who found the anarchy of local credit dealing offensive. They wanted a nice, neat world run by proper people named Biddle. I have not read the book. 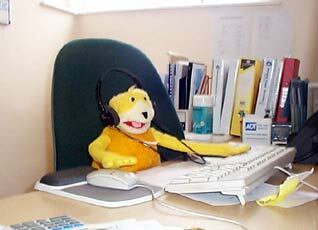 But I just read Aaron Brown's review. If he submitted that essay to an accounting professor, he would get an F. It is obvious to any objective observer that the proximate cause of the Bear Stearns and Lehman blowups is the same thing that blew up all of the S&L's in the 80's, Mettelgeselschaft, and countless other operating companies: they held illiquid long-term assets that were financed with short-term funding. Period. End of story. Aaron Brown evidently has a large brain that is similar to Nassim Taleb's but he lost my respect when he wrote: "But everyone with a brain agrees that (a) derivatives are at the heart of things and (b) the essential aspect of derivatives is not contracts that reduce risk by specifying prices in advance but the system of exchanges, clearinghouses, and standardization that replace credit risk with liquidity risk." Absent a surprising development since his last medical exam, Rocky still has a brain. And with that brain, he has written several laws — laws that have served him profitably over the past decades. One of those laws is that when a market becomes dominated by arbitrageurs and second-order instruments (whether it's merger arb, convertibles, mortgage backeds in 1994 and again 2007, CMO's etc etc etc) — it will blow up. Always has. Always will. And there are many many reasons for that. Note to Aaron Brown: (1) DERIVATIVES ARE NOT THE HEART OF THINGS. THAT IS WHY THEY ARE CALLED DERIVATIVES. (2) There is nothing remotely interesting, novel or insightful about your (b) observation. Anyone who has taken an introductory course in Finance understands there is a difference between Solvency and Liquidity. Ralph, you and I were dropping the word "manifold" on this site a year or so ago. It got me wondering if it is either necessary or helpful. For example, what cases are we cutting out? What kind of situations are not manifolds? In the 19th century, manifolds were always subsets of R^n (quoting bill fulton, representation theory). They might have holes or handles and they might have curvature. The curvature I think is what interests us in finance. Most term structures are curved, and order books are irregular as well. All in all, I am still up in the air about whether this is a useful word to use in finance. In honor of our new spec and Larry, I hypothesize that like Pascal's Law, that a small move in a big market will cause probabilistically, a large move in a smaller market. I'll give 1,000 bucks to the personage that comes up with the best predictive relation on that theme. I would start looking in smaller markets that are dependent on the larger one. Eg, look at a town where >50% of the workers are employed at one company. The decline of various parts of Detroit's supply chain could fit this story. Or Iceland/Scotland with their large banking sectors relative to within-country wealth. Chair: "I hypothesize that like pascal's law, that a small move in a big market will cause probabilistically, a large move in a smaller market." Next, I would like to introduce the bullwhip effect. Most goods have a "supply chain" that begins with raw materials, progresses to components and finished goods, and may include warehouses and stores. The bullwhip effect posits that, the farther "back" in the supply chain an operation is (farther away from the end customer), the greater the swings in production and inventory will be in response to fluctuations in end customer demand. Here is an article on the subject. During the dot-com crash in October 2000, stocks briefly rallied on a glowing earnings report by JDS Uniphase. The CNBC screamer correctly noted that JDSU was a component supplier, farther back in the supply chain, and its record sales had probably just bloated the inventories of companies such as Cisco Systems that had already reduced forward guidance. From this perspective, lumber seems a good candidate for a Pascal's Law study. It is a raw material that must go through additional processing before reaching most customers, and its futures market is very small. 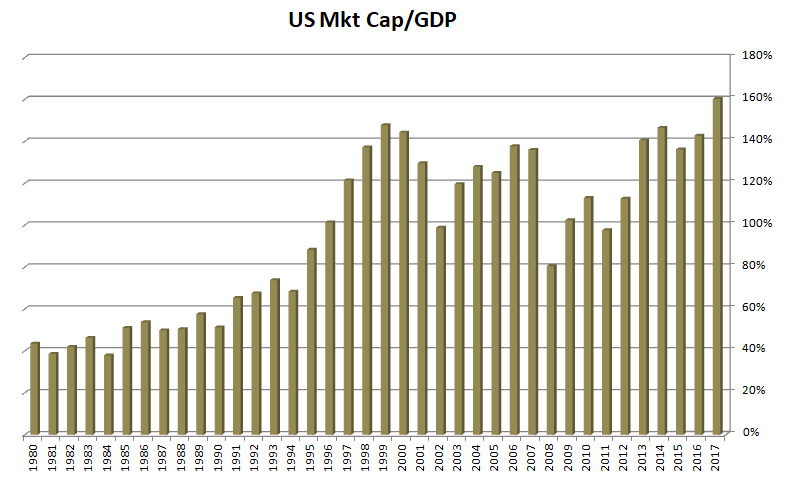 The S&P 500 is a large market that theoretically is based on the whole economy and should be more sensitive to final sales. Using 3 months as a rough rule of thumb for total lead time in a typical supply chain, I compared quarterly net changes in the S&P 500 with net changes one quarter later in the lumber price. There were only 11 data points since 2012, not enough for significance. In a regression, the t score was -1.55, and the R squared was 0.21. The quarterly changes in lumber were a little larger in percentage terms (about 8% mean absolute change) than in the S&P 500 (about 6% mean absolute change). Excellent. You win the prize. Everything a report should be. (A little weak on the predictivity but not your fault.) If it was easy, we would all be wealthy men. On Friday the world's greatest mathematician, Alexander Grothendieck, died, in Saint-Girons, Ariege. McLarty's lecture is the best philosophical (rather than mathematical) take I know of on Grothendieck's work on the Weil conjectures. In summary, with his topos-theoretic approach he built a space tailor made to his problem, from the simplest of bits–and then let the space itself do the work. The windows and blinds are all closed in most of the rooms of this mansion, no doubt from fear of being engulfed by winds blowing from no-one knows where. And, when the beautiful new furnishings, one after another with no regard for their provenance, begin to encumber and crowd out the space of their rooms even to the extent of pouring into the corridors, not one of these heirs wish to consider the possibility that their cozy, comforting universe may be cracking at the seams. Rather than facing the matter squarely, each in his own way tries to find some way of accommodating himself, one squeezing himself in between a Louis XV chest of drawers and a rattan rocking chair, another between a moldy grotesque statue and an Egyptian sarcophagus, yet another who, driven to desperation climbs, as best he can, a huge heterogeneous collapsing pile of chairs and benches! Makes me think of: "One of my old supervisors told me that Wilhelm Reich went through three developmental phases as a theorist. In the first, he was not crazy and was not very creative, in the second he was a little bit crazy and very creative, and in the third, he was very crazy and not very creative."